If your camera is in the above list try inPhoto ID SLR or inPhoto Capture SLR. inPhoto Capture SLR is designed for full Canon EOS (SLR) camera control. inPhoto ID SLR is designed for ID photo applications, automatic face detection on live image, automatic face crop, enhancement, resizing, image capture, save or transfer to a TWAIN compatible application. inPhoto ID SLR and inPhoto Capture SL do not support Canon Powershot cameras and web cameras.They support Canon EOS (SLR) cameras only. If your camera is in the above list try inPhoto ID PS or inPhoto Capture PS. inPhoto Capture PS is designed for full Canon Powershot camera control. inPhoto Capture PS is designed for ID photo applications, automatic face detection on live image, automatic face crop, enhancement, resizing, image capture, save or transfer to a TWAIN compatible application. inPhoto ID PS / inPhoto Capture PS does not support Canon EOS (SLR) cameras and web cameras. It supports Canon Powershot cameras only. If you have already had or if you are planning to buy a web camera note that all standard web cameras can be controlled from PC. 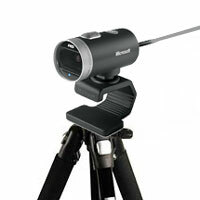 For web camera control try inPhoto ID Webcam software. inPhoto ID Webcam provides full web camera control, live image preview, automatic face detection on live image, automatic face crop, enhancement, resizing, image capture, save or transfer to a TWAIN compatible application. 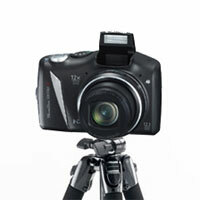 inPhoto ID Webcam is designed for ID photo applications. 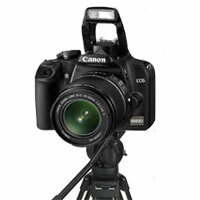 inPhoto ID Webcam does not support Canon Powershot and Canon EOS (SLR) cameras. It supports web cameras only.